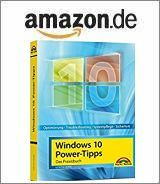 [German]Microsoft has released (till now via Microsoft Update Catalog) a revised update KB4345459 for Windows 7 and an update KB4345424 for Windows 8.1 – as well as the respective server counterparts – on July 16, 2018 to fix various bugs. .NET framework updates have also been updated. The update is distributed (till now not) via Windows Update, but is available via Microsoft Update Catalog. A restart is required after the update installation. There are no known issues with this update. Update KB4340558: Security and Quality Rollup updates for .NET Framework 3.5 SP1, 4.5.2, 4.6, 4.6.1, 4.6.2, 4.7, and 4.7.1 for Windows 8.1, RT 8.1, and Server 2012 R2. In the KB articles, however, the Known Issue is still listed with installation error 0x80092004 (possibly the KB text, status 13.7.2018, has not yet been updated). This entry was posted in Update, Windows and tagged .NET Framework, KB4340557, KB4340558, KB4345424; KB4345425, KB4345459, Update, Windows 7. Bookmark the permalink. Updates KB4345459, KB4345424 & KB4345425 are NOT offered thru Windows Update. These are currently offered thru Microsoft Update Catalog only. read their respective KB articles carefully and look at the “How to get this update” section of those articles.